Never miss a great Easy Canvas Prints coupon and get our best coupons every week! Easy Canvas Prints has a deal for you! Act now and save up to 80% on single canvas prints. This offer won't last long! Up To 93% Off All Canvas Prints | Easy Canvas Prints Special! Happy Easter From Easy Canvas Prints! Easy Canvas Prints has you covered, with great sales and special offers for the season. Shop and save on holiday prep today! Want even more savings at Easy Canvas Prints? Sign up for the company's email list, and you'll get exclusive deals sent straight to your inbox. Scroll to the bottom of the homepage to add your email to the list! Snuggle up with a one-of-a-kind photo blanket from Easy Canvas Prints! Save on custom fleece, velveteen, or woven blankets. 60% Off | The Perfect Custom Pillow! Shop Easy Canvas Prints for affordable plush pillows that can be personalized with your favorite images. No promo code is needed to get these great savings. Shop Easy Canvas Prints today for this steal of a deal! 85% Off Canvas Prints Through This Link! Shop Easy Canvas Prints today to save on decor! Save 78% On Canvas Prints! This coupon expired on 04/03/2019 CDT. Purchase a unique and affordable gift this Mother's Day from Easy Canvas Prints! Shop now and take up to 93% off Canvas Prints for Mother's Day! 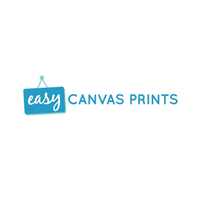 Easy Canvas Prints has deals for you! Find unique gifts for him or her this Valetine's Day and show the love. Enjoy monumental savings on bestselling products from Easy Canvas Prints by shopping the Early Valentine's Day Sale! For a limited time buy two 16x20 prints for just $29.99! See site for details. This coupon expired on 02/03/2019 CDT. Save during this Early Valentine's Day Sale at Easy Canvas Prints! Take 85% off all canvas prints! See site for details. This coupon expired on 01/27/2019 CDT. Save on last-minute gifts with holiday sales and deals from Easy Canvas Prints! Be sure to check for free shipping offers, limited-time promo codes and more, now through the end of December! Cyber Week Sale! Shop the biggest sale of the year at Easy Canvas Prints and get unlimited 16x20 prints for just $14.99 each! See site for details. This coupon expired on 12/03/2018 CDT. It's time for Easy Canvas Prints Cyber Monday deals, discounts, sales, promo codes, and free shipping offers! Check here for early bird coupons, specials and insane deals going on through Monday and the rest of the week. With Easy Canvas Prints' coupons and promo codes, discover discounts on the custom canvas retailer's variety of wall art and home decor. After clicking on to the website customers can choose from a variety of products. Some of these products are wood prints, metal prints, canvas prints, photo blankets, and pillows. Thanks to expedited delivery options, products can be delivered in as soon as two days. Check out Groupon's collection for an Easy Canvas Prints coupon code that can save you money on so many products! Easy Canvas Prints got it's start in 2010 in Austin, Texas. They had a passion to provide people with the easiest and most efficient way to print their favorite photos on professional canvas prints. In time, the company expanded and is selling many different products that function as great gifts or home decor. Whether you want to print an action shot from vacation or a beautiful shot from a wedding, there is no better way to share it than on a beautiful canvas print. Designing them are quite simple as well. First, choose the canvas size. Sizes start at 8'x8' and go all the way up to 30'x40'. There is also a custom size feature! After selecting the desired size, it is then time to upload a photo. After selecting a photo then you must choose a canvas depth, a frame if wanted, and a dust cover if wanted! Lastly, add some finishing touches like an image border and color effects. The process for ordering other types of canvases is similar and easy to follow. There is even an option to include a wall mount to make things easier once it arrives! If you are looking for a unique gift or if home decor is more up your alley, then check out Easy Canvas Prints' personalized photo blankets and pillows. You can choose from a fleece, woven, or velveteen blanket and select a single photo or make a fun collage. For a specialized pillow all you have to do is select a size and a photo and you're set! There is no better way to share a great memory than on a high quality canvas, blanket, or pillow. Buy a gift someone will never forget or design a canvas to add a personalized touch to your home. Just follow the instructions and your lovely photos will be turned into wall art and decor in no time!